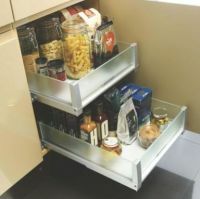 A range of pull-out larders, shelving systems and tables. 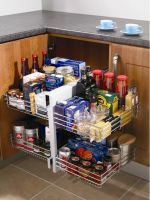 Some tables are unsupported at one end (cantilever style) to allow access for seated users. 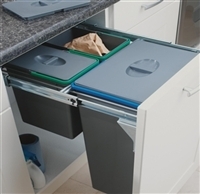 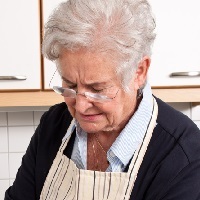 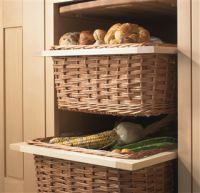 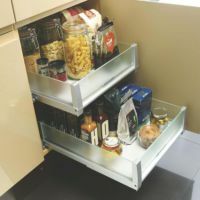 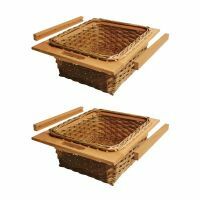 Pull out baskets, platforms, larders and drawers act to bring items out of your cupboard into easy reach so you no longer need to stretch into your cupboard. 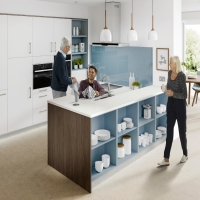 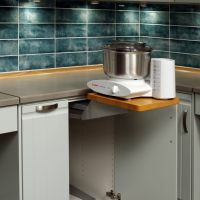 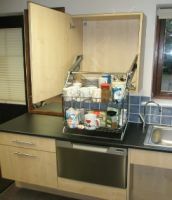 You may need assistance to fit these systems and some may only work when brought together with new kitchen cupboards.